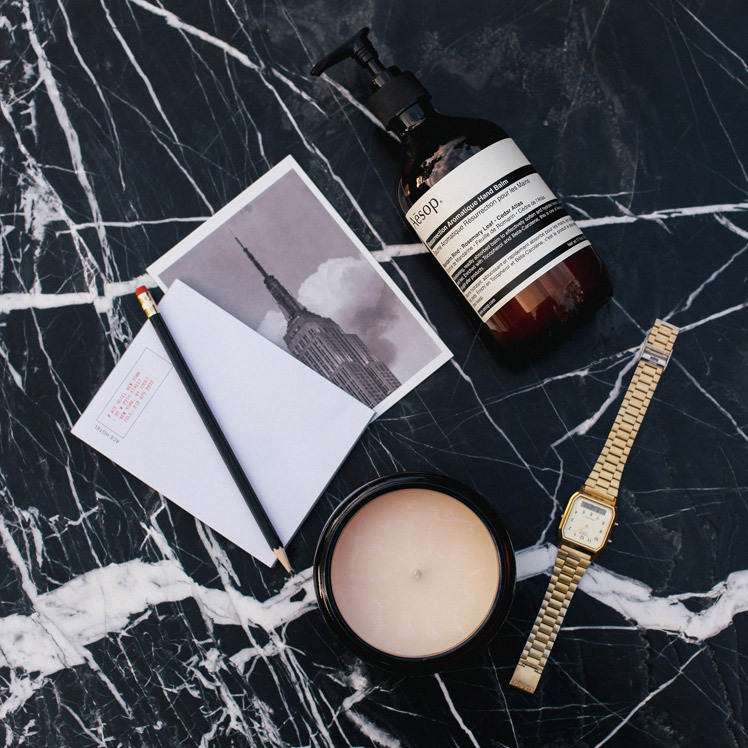 FK chats to Nathan and Sofia about their stylish and lovely smelling fragrance label, Golden Skull Candles, based in Melbourne. You will find these sweet scented delights at our Melbourne SS14 markets later in the year! Tell us a bit about Golden Skull Candles and what we can expect to discover? 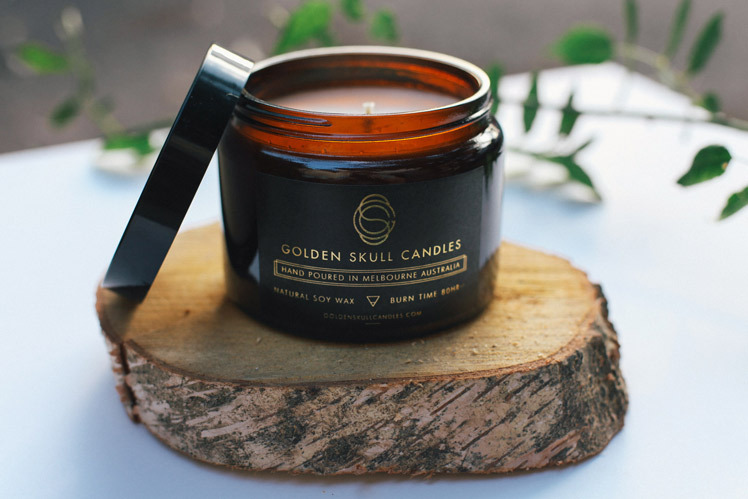 Golden Skull Candles are hand poured natural soy wax candles designed in Collingwood, Melbourne. 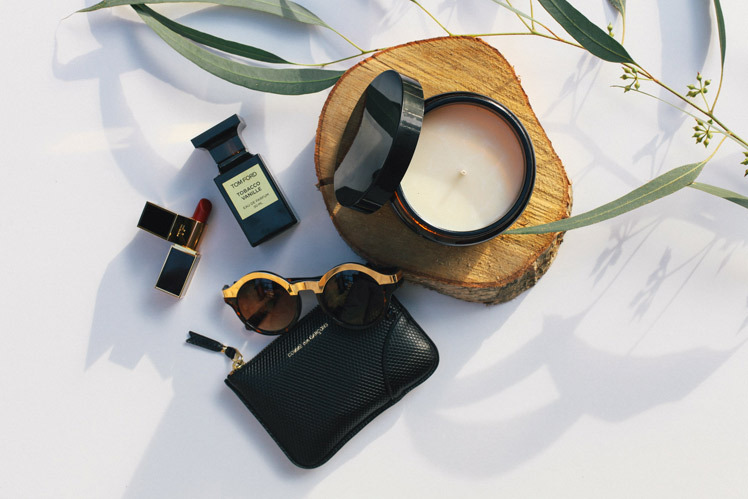 Each fragrance is meticulously blended by my partner and chief chandler Sofia to create scents that we hope both intrigue and inspire those who burn them. Inspired by the glorious decadence of a time almost 100 years ago we like to think Golden Skull takes people back to that time and allows them their own little moment of luxury and excess. What is your background and how did you started working with candles? My background is in design and animation whilst Fi has been both a flight attendant in New Zealand and a nanny in London before buying a few candles that didn’t quite live up to her expectations. This lead to hours and hours of extensive research, filling many late night perfecting what would birth The Society of The Golden Skull and the collection of fragrance we now sell online and in stores. I think both of us likes to think we can find inspiration all around us every day. This seasons range features six fragrances including Black Pepper + Mint, Campfire Caramel and Batch Brew. 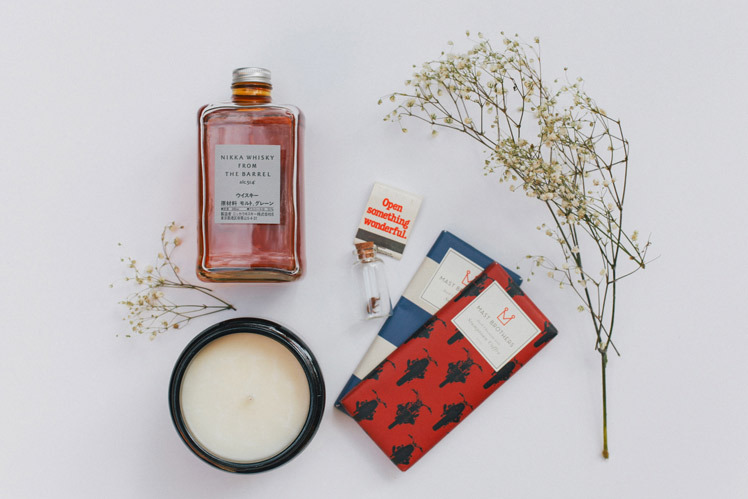 So whether it be the joy of a fresh mojito with a little added spice during long summer nights on Melbourne rooftops or the warmth of a campfire offset with rich velvety caramel tones, these are all moments that have ended up crafting the range. It’s important to always be present in every moment and not let it pass us by because we were too busy trying to instagram it. But in all honesty, we do both spend far too much time trawling instragram–another great place for inspiration. We’ve just moved into a new studio space–which as you can imagine is incredibly inspiring. Lined with wooden shelves for stock and benches for pouring, it’s very much a workshop but with some dirty 20’s jazz spinning on vinyl and a cup of coffee never far from our reach. It has become our little space for creation and hopefully a little magic. What do you love about working with candles? What are some of the challenges? I think the things we love can also be the biggest challenges. 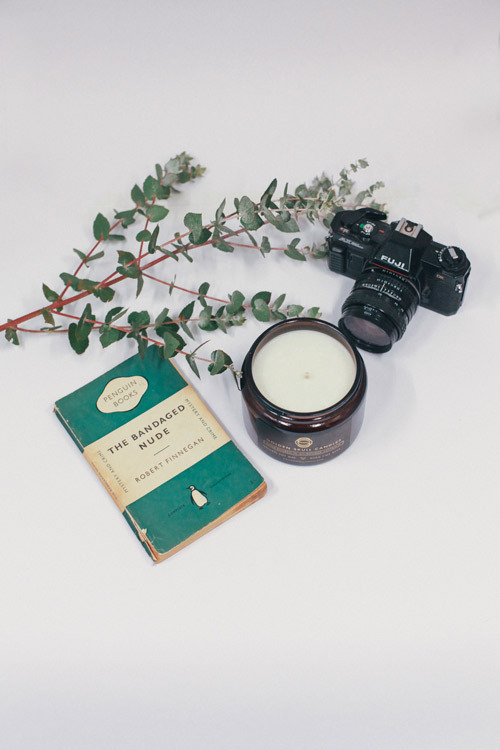 People love a great candle, and having the opportunity to create something that will set the tone in someones room, home or even office is privilege we never want to take for granted. That all starts with sourcing quality ingredients, beautiful jars and then creating branding and packaging that conveys the luxurious feel we want every candle we send out to have. Sometimes this means we have to discard a candle we’ve poured because it wasn’t up to scratch but it’s the same as a chef not letting a dish cross the pass if it doesn’t meet their standards. We always try to hold ourselves at the highest of standards, so that our amazing customers will get to burn the best candle we can possibly deliver. It’s a cliche but one that we hold dear–never stop learning. Be it learning what we can do better or just how we can better craft our product to meet the needs of our customers. Collaborations are also something we’d love to do more. Often you’ll see bands or artists collaborate on a track and produce something amazing that neither artist could have achieved on their own. It’s no different with anything creative, sometimes the greatest magic is born when you join forces with those around you.